Well-liked and respected parliamentarian Virginia Chadwick dies. The family requested this cartoon for the cover of the service guide at her funeral. 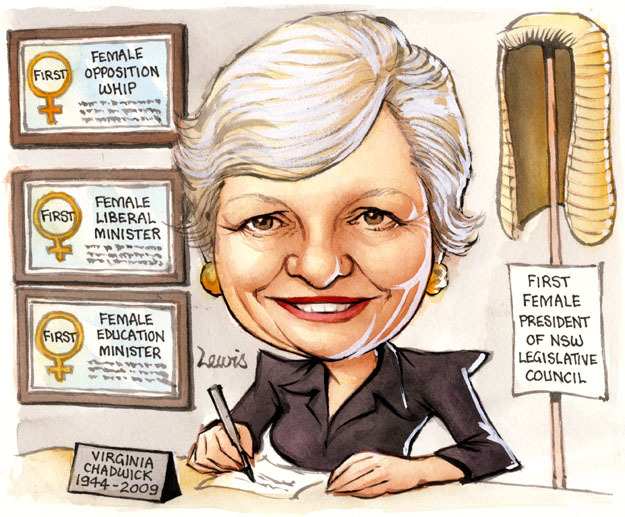 This entry was posted in Editorial Portraits, Memorial and tagged australia, death, liberal, memorial, parliamentarian, politician, politics, vale, Virginia Chadwick on November 23, 2012 by Art by Peter Lewis.